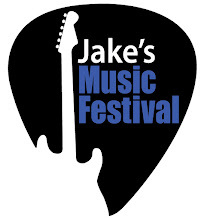 We are less than one month away from Jake's Music Festival 2011 and the excitement is building. Over the next few weeks you'll see posters going up all over town, we'll be featured on several area radio stations and our Facebook page will be buzzin'. This marks our seventh year of putting on this festival. In that time we've raised thousands of dollars for diabetes research. It's great seeing so many people come out to listen to fantastic local music and support a worthy cause. Thanks to our sponsors Frames Unlimited, The Gordon Group and Magic Hat #9. Because of their generosity this year's show is free to attend. But you'll want to bring some money anyway. The Wealthy Theatre will have adult beverages available for purchase, including Magic Hat #9. There will be a silent auction with items from several Local First member businesses. We'll post a full list when we get closer to the show date. Finally, we'd love for everyone in attendance to donate to the Juvenile Diabetes Research Foundation. It's not required but it is appreciated. Thanks and see you all on April 16th.